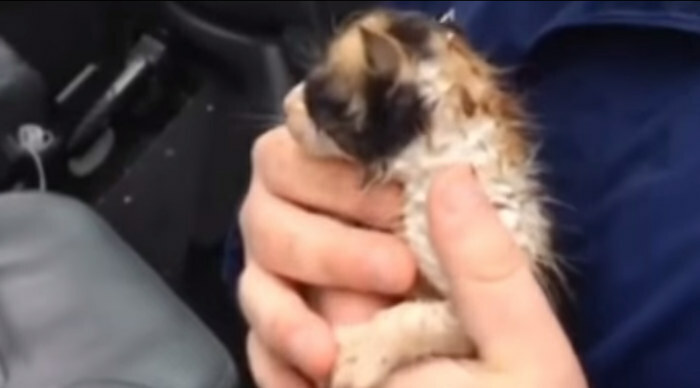 Meteorologist Rich Wirdzek responded to kitten cries as he was covering damage in the aftermath of a tornado in Cedarville, OH. WHIO reports that the kitten was one of several born in a barn recently. The kitten, later named Twister, was warmed up with a blow dryer in the news truck, and later reunited with her family. WHIO has reported that the family recovered two other kittens from the debris. The dynamic trio is Twister, Lucky and Storm. Yes, Virginia, sometimes people do good things, just because. Post by Meteorologist Rich Wirdzek WHIO TV.